Owen McDonough B. Comm., F.C.A., A.I.T.I., Public Auditor and I.T.I. members’ representative for the B.M.W. region (see History page). Conor McDonough B. Comm. 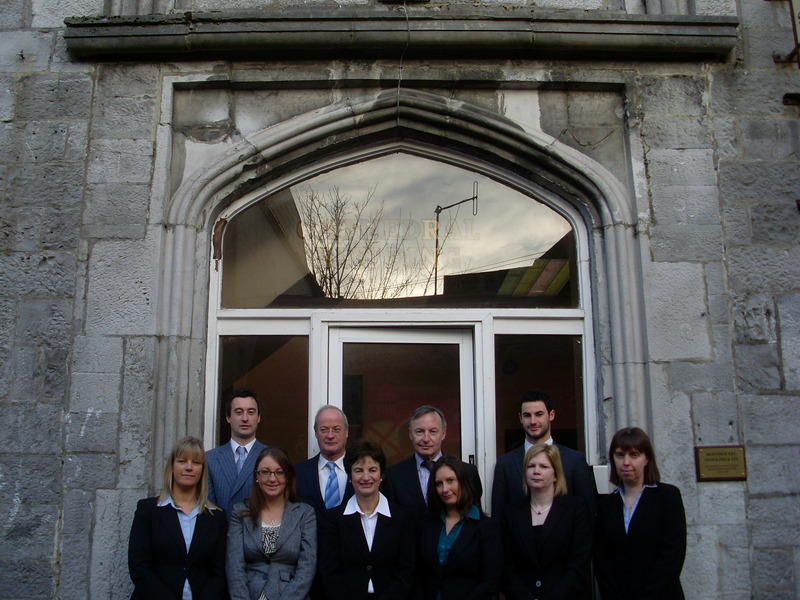 (1971) joined the firm in 1978, having trained with John McElhinney & Co. in Dublin. With over thirty-six years of experience in accountancy, Conor is the point of reference on all accounting issues for the staff. Ardle McDonough B.A., M. Sc. Econ. (International Business Management) joined the practice in 2005 from a European agri-food sales role. Louise McDermott B.B.S., F.C.C.A. is from Ballina, Co. Mayo. Louise joined the practice in 1997 and became a Fellow of the Association of Chartered Certified Accountants in 2007. Louise is responsible for audit and payroll work in the firm. Theresa Keane N.D.P.A., F.C.C.A. is originally from Renvyle, Co. Galway. Theresa joined the practice in 1998 and became a Fellow of the Association of Chartered Certified Accountants in 2008 and has developed accounting expertise in the areas of education and community development. Laura Hynes B.B.S., A.C.A. is from Tuam, Co. Galway and became an Associate of the Institute of Chartered Accountants in 2005. Laura joined the practice in 2001 and specialises in taxation. She also co-ordinates VAT work in the office, among her usual duties. Olivia Kelehan A.T.I., A.C.C.A. from Bushy Park, Galway joined the practice in 2006 and trained to become an accounting technician. Olivia achieved excellence in the area of Tax in her A.C.C.A. exams, coming second in Ireland. Damien McDonough B. Comm. obtained his degree in 2013, while on a sports scholarship for golf at NUIG. Now, he joins the practice as a trainee accountant and is currently undertaking A.C.A. exams. Damien takes a particular interest in E-Business. Breda McDonough makes time in her busy life on occasion to ease the workload of the firm. Breda supports the secretarial services of the office.